All the resources you need for a healthier, happier and tastier life! Featuring over a hundred of Gill’s original recipes, as well as inspiring books, vodcasts and more. Can’t find what you’re looking for? Use the search box on the top right corner of the page. Enjoy these original recipes from the archive. They’re easy to make and most cater to the following dietary restrictions. Booze free drinks – dozens of fun ways to rehydrate. Tony Chiodo Feel Good Food. My favourite cookbook of 2010, local, accessible and absolutely yummy. Recipes include vegan, seafood and chicken. Take a look at my review of Feel Good Food to find out more. The queen of 101 Cookbooks latest offering is packed full of delicious vegetarian fare. Hugh Fearnley-Whittingstall River Cottage Veg Every Day!. Hugh takes a break from catching squirrels and goes vego. His salads and raw foods are especially worth a look. Also features a lot of family-friendly recipes for meat-free meals. Read my review of River Cottage Everyday Veg!. A big book for new vegetarian, those wishing to expand their vegetable cooking repertoire and novice cooks. Lots of recipes, techniques and handy line drawings. 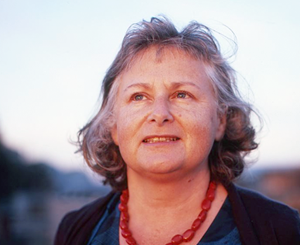 Maddhur Jeffery is an Anglo-Indian food writer. Her recipes are straight forward and easy to follow. The large, hardback Madhur Jaffrey’s World Vegetarian: An Unrivalled Sourcebook of Over 600 Recipes and Ingredients from All Over the Globe covers many different cuisines. While the more modest paperbackEastern Vegetarian Cooking focuses on different Asian classics. I’ve owned my copy for over 20 years and is one of my most cooked from books. Simple recipes to make healthy and tasty “take aways”, read my book review for more info. While this is not a health book, Stephanie Alexander’s work of love helps a competent cook become an excellent one, through understanding flavours and techniques. Food Rules: An Eater’s Manual. 63 easy to follow tips on how to eat. A short, cheap, helpful guide. This book will get you thinking about what you put on your plate, packed full of conversation starters for around the dinner table. A gentler approach to eating locally. Part diary, part “how to” book by award winner novelist and her family. The titles say it all! A thought provoking exploration of the virtues. Best read slowly and savoured. Also by Dowrick and worth a read, gentler than her previous work. An oldie but a goodie, some great ways to get in touch and a take care of yourself. A gentle exploration of femininity and abundance. Demystifying anxiety and panic attacks, with the added bonus that the author is also a cartoonist. A thoughtful and thorough book on human nature, that deserves some time and space to explore. Meditation – I’m excited to see my favourite book is about to be updated. All the juicy ideas from her “Gunnas” workshops. Easy to follow and put into practict. An inspirational resource for budding writers. Perfect for both visual artists and writers – the book that launched a thousand “artist dates”! Twyla Tharp The Creative Habit: Learn it and Use I for Life, this quote from a review sums it up well “Perhaps the leading choreographer of her generation, Tharp offers a thesis on creativity that is more complex than its self-help title suggests”. A good companion or alternative to Julia Cameron’s books. Two handy books to help you not only clean up your house but also understand your clutter. Karen Kingston’s insight in why we hold on to our stuff and how to let go of the clutter is fascinating. Kaz Cooke writes accessible, well informed books on women’s health and parenting. A great source of commonsense advice. One of the best women’s health books available, with the added bonus that it’s written in Australia. Straight forward medical information with natural options. Up the Duff is the first and often only book you need to read when you’re pregnant. Also great for expectant father’s to read week by week to understand that their partner is not the only one to experience mood changes! Women’s Stuff is not only health but a “how to” guide for young girls to mature women, without the usual New Age twaddle. Australian family therapist Steve Biddulph is the master when it comes to understanding masculinity. His books are “must reads” for all parents and lovers of men. Both Steve’s book’s should be on the high school curriculum! Maggie Hamilton’s research also has great insight into the species otherwise known as the adolescent male. It’s the perfect compaion to her earlier work What’s Happening to Our Girls? : Too Much Too Soon. Read my 2011 reviews of the following books for more info. Nicole Bijlsma Healthy Home Healthy Family: Is Where You Live Affecting Your Health? A cartographer with a taste for theories of place succumbs to cancer in this metaphorical tale of mortality and map making. A powerful story exploring life, death and sense of place. I’m a longtime fan of Duffy’s fiction but this is quite different to her other work, written while the author wrestled with her own life challenging illness. Sally Brampton Shoot the Damn Dog. A memoir of depression, see my review. Do yourself a favour, don’t see the movie, choose the book instead. Gilbert is a delightful writer and her human tale of self discovery is a charming read. Part midlife memoir, part exploration of the psychology of aging. Take a look at my review. Michelle suggested Glad No Matter What: Transforming Loss and Change into Gift and Opportunity by SARK. “A very wise and healing book that deals with grief and change”. Can’t meditate – are there alternatives? Outlive a parent who died of a heart attack. Will dairy products prevent osteoporosis? How to find your autumn mojo. Making sense of fats and oils. Genetic high cholesterol and statin drugs. Dealing with HSV2 (genital herpes). What and how to eat when you’re pregnant and queasy. How to create a midweek meal plan. Are mushrooms a good source of Vitamin D? Can herbs prevent altitude sickness? Trouble waking up in the morning. Bali belly: preventing and treating travel gut bugs. Reducing puffiness and fluid retention. Some of my favourite tried and tested experiences available in and beyond Melbourne or Sydney. No Lights No Lycra – dance like no one’s watching. In over 80 locations around the world, boogie for an hour in the dark. Cheap, after work exercise that’s a whole lot of fun. Creative Mornings – be inspired to live and work more creatively, with hipsters in 100 different cities. The Buddhist Centre – down to earth meditation classes. The same simple program teaching two basic meditation practices can be found in 28 different countries. I first attended the London centre in 1986 and have since meditated with the Melbourne and Sydney centres. School of Life – Melbourne was the first offshore home for London’s unique philosophy ‘school’. Sign up for a class, or an entire week, to help you view life through a different lens. Now in 8 countries and spreading fast.